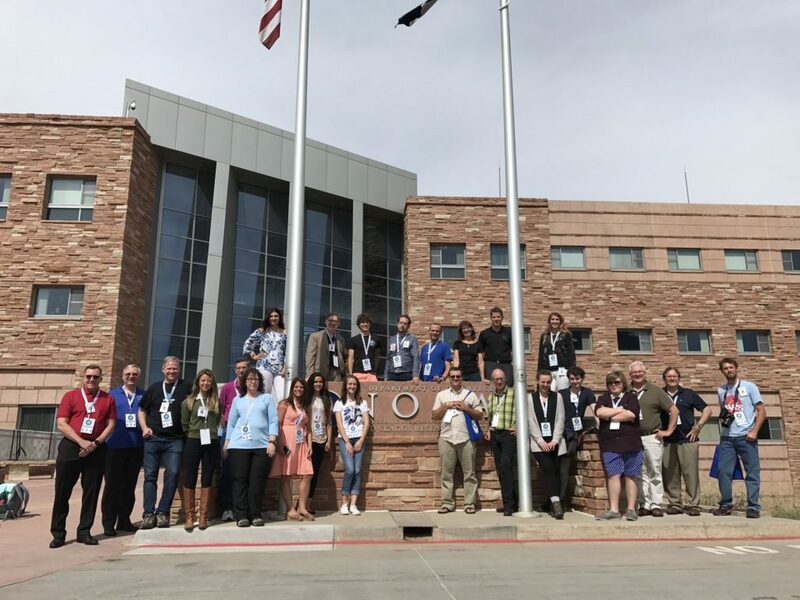 June 21, 2017 – On June 19, social media users from around the country gathered for a behind-the-scenes tour of NOAA’s Earth Systems Research Laboratory (ESRL) in Boulder, Colorado. Twenty-five people were invited by NASA to take an in-depth look at the research performed at ESRL and to learn more about NOAA’s next-generation weather satellite, the Joint Polar Satellite System (JPSS-1), being built by Ball Aerospace and Technologies Corp. 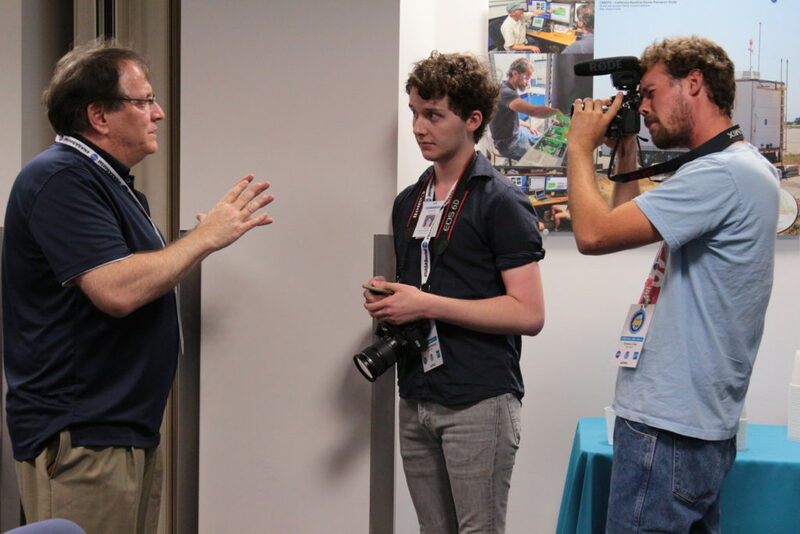 The NASA Social event was designed for people who are active on social media to learn more about the mission, and to share their experience online. The group was selected by NASA for their ability to engage with an audience — and although the social group included many self-proclaimed space nerds, it also included teachers, meteorologists, artists, and students. 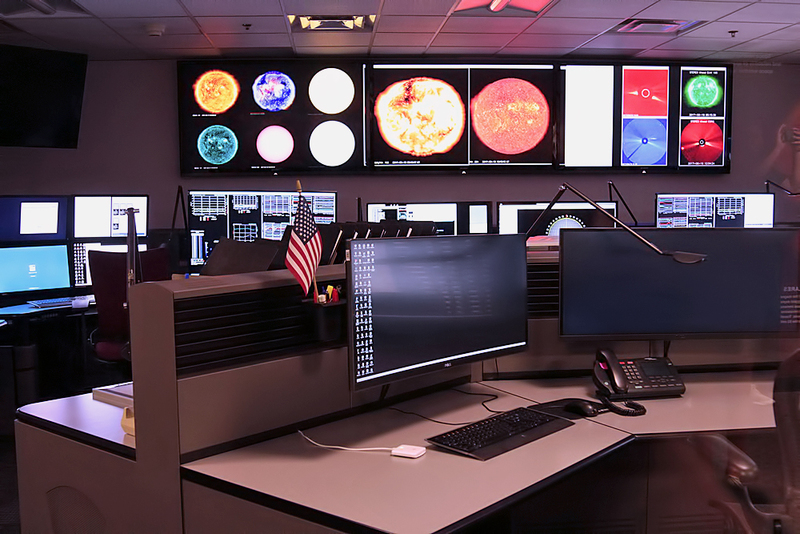 Highlights of the day included visiting the Space Weather Prediction Center (SWPC), the National Weather Service (NWS), and hearing from a panel of scientists and engineers involved in the JPSS program. Following the panel, participants were able to view models of the satellite, its Delta-II launch vehicle, and various instruments. There was also time to interact with JPSS team members and fellow socialites, as well as the people behind NASA’s and NOAA’s social media accounts. At ESRL, scientists study atmospheric and other dynamic processes that affect air quality, weather, and climate variability. ESRL researchers monitor the atmosphere and investigate the physical and chemical processes that comprise the Earth system. Their work improves critical weather and forecasting tools for the public and private sectors, as well as drought and air quality predictions. NOAA’s comprehensive system for acquiring observations – from satellites to ships to radar – provides critical data for keeping coastal waters safe and vibrant, sustaining the supply of quality seafood, ensuring safe transport of waterborne cargo, and keeping an eye on the ever-changing affects of space weather. NOAA’s satellite division develops and operates U.S. weather satellites, composed of the Geostationary Operational Environmental Satellites (GOES) for short-range warning and forecasting, and the Polar-orbiting Operational Environmental Satellites for longer term forecasting. JPSS-1, or NOAA-20 as it will be known once it’s operational, is the second spacecraft in NOAA’s next generation of polar-orbiting satellites. The advantage of polar-orbiting satellites is that they’re in lower orbit and can circle the Earth from pole-to-pole fourteen times a day. The Earth is rotating at the same time, which allows the satellite to observe the entire globe and get a complete data set twice a day. JPSS provides continuity of critical global observations through 2038 and provides essential data for forecasting severe weather like hurricanes, tornadoes and blizzards up to 10 days in advance so the public and emergency managers can be prepared and proper responses can be put in place. Early planning minimizes human risk, as well as the economic impact to communities. The Ball-built Suomi National Polar-orbiting Partnership (Suomi NPP) is the first next-generation polar-orbiting satellite in the JPSS series, and is considered the bridge between NOAA’s legacy polar satellite fleet, NASA’s Earth observing missions, and the JPSS constellation. Suomi NPP launched in October 2011 and has a design life of five years. Instruments aboard Suomi NPP have provided unexpected data and have proven invaluable in monitoring volcanic eruptions and air quality in the upper atmosphere from pollution, dust and smoke. 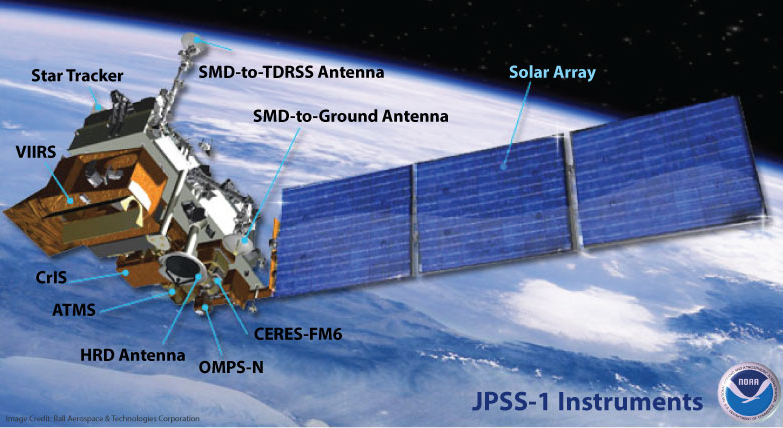 Capitalizing on the success of its predecessor, the JPSS-1 will carry five similar instruments: (1) VIIRS, (2) CrIS, (3) ATMS, (4) OMPS-N, and (5) CERES-FM6. Instruments on the JPSS constellation will gather global measurements of atmospheric, terrestrial and oceanic conditions, including sea and land surface temperatures, vegetation, clouds, rainfall, snow and ice cover, fire locations and smoke plumes, atmospheric temperature, water vapor and ozone. JPSS-1 has a design life of seven years. Ball Aerospace is under contract to NASA’s Goddard Space Flight Center to design and build the JPSS-1 satellite bus and the OMPS instrument, integrate all instruments, and perform satellite-level testing and launch support. Custom Microwave, Inc. of Longmont, Colorado is providing key microwave passive components for the ATMS, built by Northrop Grumman. JPSS-1 is scheduled to launch on a United Launch Alliance Delta II in the 7920-10 configuration on September 21, 2017, from Vandenberg Air Force Base in California. The rocket will have 9 solid rocket boosters and a 3-m diameter fairing. The JPSS missions are funded by NOAA. NASA is the acquisition agent for the flight systems, launch services, and components of the ground segment. ESRL’s partners include other groups in NOAA, the Cooperative Institute for Research in Environmental Sciences (CIRES) at the University of Colorado Boulder, the Cooperative Institute for Research in the Atmosphere at Colorado State University at Fort Collins, the National Center for Atmospheric Research in Boulder, NASA, the Department of Energy, the Department of Homeland Security, and academic and research institutions worldwide.